I guess I should start out this review with a little disclaimer. 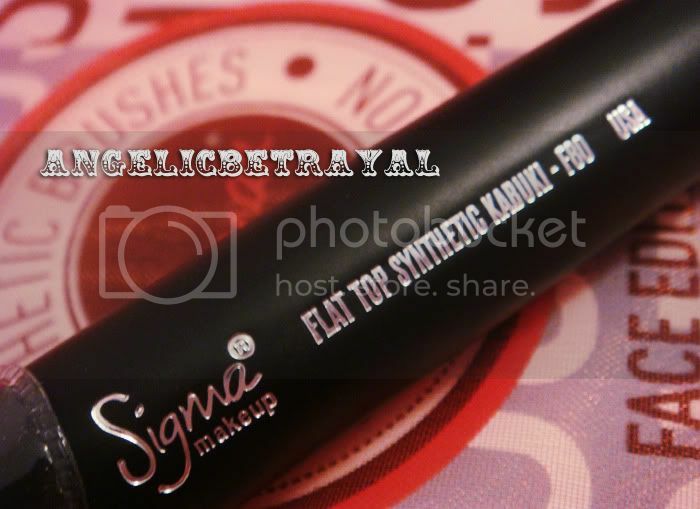 As part of Sigma's Affiliate Program, I recently received their F80 Flat Top Synthetic Kabuki to try out. Although this was sent to me for free, I assure you that all my reviews are completely honest and I would never lie about my opinions on a product. The brush came packaged in a sturdy cardboard box with a few extra trimmings and paper pamphlets. I liked the fun, vibrant packaging and it increased my expectations as I was opening the package. I heard of the greatness of this brush a million and one times before from other Bloggers and Youtubers and I was very excited to try it out for myself. My expectations were met if not exceeded. The brush handle is sturdy and a bit heavier than many of my brushes. This extra weight gives me more control of the brush which I like. The brush feels very well made and has held up well through two washes thus far. 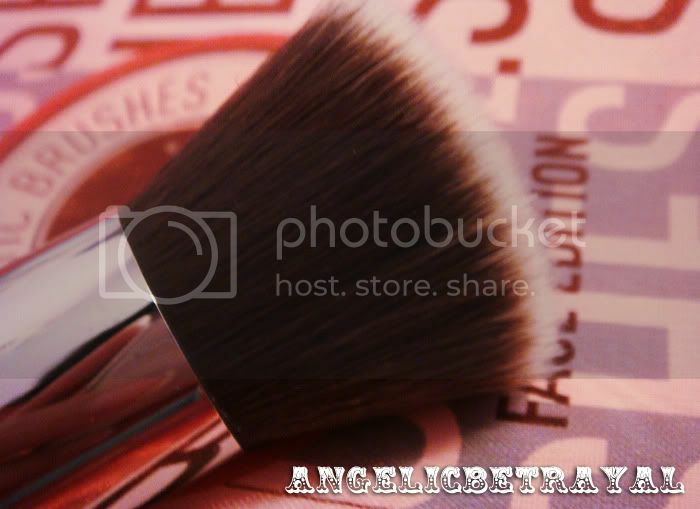 The brush hairs are dense and short which makes it great for buffing in my liquid foundation. Some have compared this brush to the E.L.F Studio Powder Brush but the hairs on the F80 are a bit shorter, softer, and more dense. I prefer the F80 because I seem to get fuller coverage with less foundation and the dense bristles buff the product into my skin flawlessly. I place a few dots of foundation on the head of the brush and dot this onto my face. They I swirl the brush in circular motions all over my face, concentrating on areas where I want more coverage. This leave a streak-free, natural finish. I have not used this brush with mineral makeup but I think it would be great for that purpose as well. This brush does not absorb foundation and I find that I can use it two to three times in between washes. The brush is very easy to wash even though it is dense. I have no problem getting the foundation out of the hairs because the foundation does not sink deep into the bristles. I usually leave this brush overnight to dry because it takes awhile for the water to evaporate from the center of the brush. 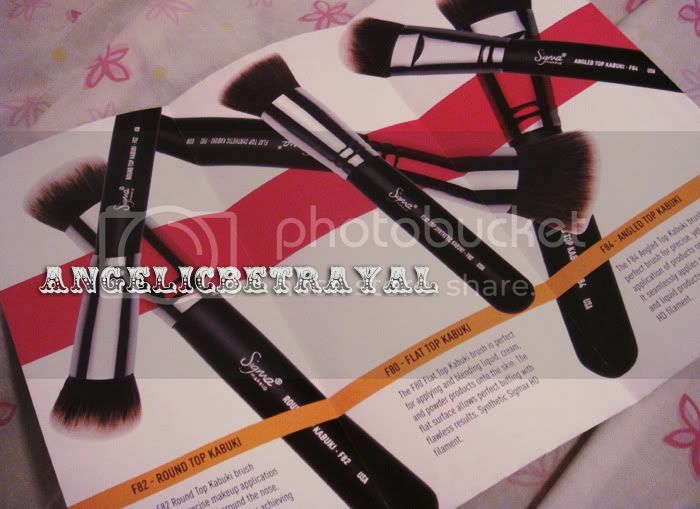 The F80 retails for $16 on Sigma's website HERE which is quite inexpensive for such a high quality brush. You can also purchase this brush in a kit along with the F82 and F84 for $42 which saves you about $6 if you had bought each brush separately. I highly recommend the Sigma F80 brush if you routinely apply foundation. This affordable brush makes your skin glow without eating up product! Please let me know if you have any other questions regarding the F80 as I will be happy to answer them! 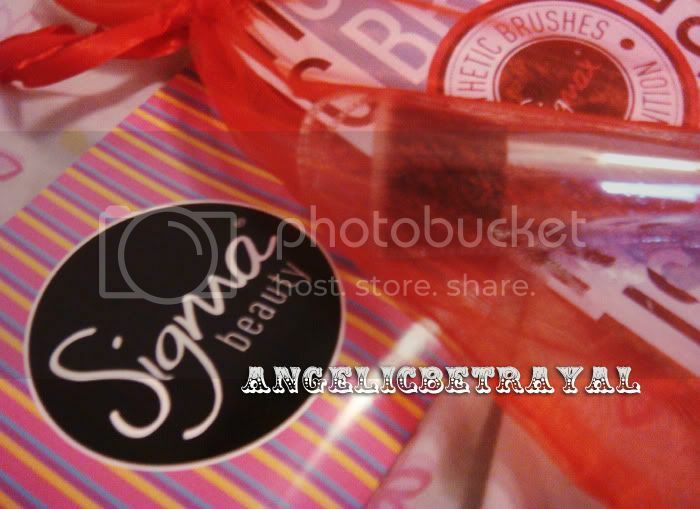 Love the brush :) Sigma is one of the better brush makers out there! I just received the face kit, which include this brush...so far so good. I'm pretty impressed with this brush as well. It's great that you all have tried the brush and love it as well :) I think that the price and availability are definitely a pro for this brush.